Which means two and a half, indicating its alcohol content in Piedmontese dialect. This Pausa Cafè beer is inspired by the traditional Belgian Saison beers, spiced with saffron and black pepper. Opaque straw-yellow in colour, offering spicy aromas. In the mouth, a specific brewing technique creates a full-bodied mouthfeel despite its low alcohol content. The saffron and pepper contribute to a sensation of warmth and pleasure. Alcohol 2.5% vol. 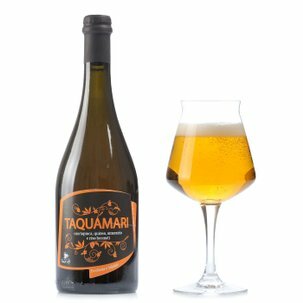 A perfect beer for a summer aperitif, to be sipped on its own or with fresh cheese and vegetable nibbles.